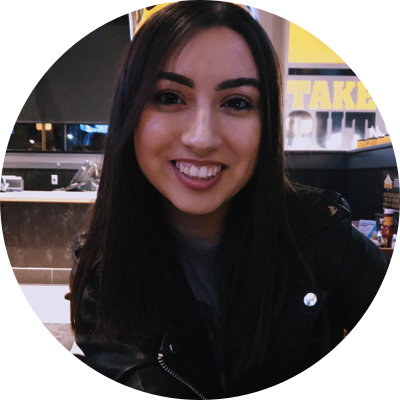 Read Nikki's review of Ralph Breaks the Internet. In “Ralph Breaks the Internet,” video-game bad guy Ralph (voice of John C. Reilly) and best friend Vanellope von Schweetz (voice of Sarah Silverman) leave the comforts of Litwak’s arcade in an attempt to save her game, Sugar Rush. Their quest takes them to the vast, uncharted world of the internet where they rely on the citizens of the internet—the Netizens—to help navigate their way. Lending a virtual hand are Yesss (voice of Taraji P. Henson), the head algorithm and the heart and soul of the trend-making site “BuzzzTube,” and Shank (voice of Gal Gadot), a tough-as-nails driver from a gritty online auto-racing game called Slaughter Race, a place Vanellope wholeheartedly embraces—so much so that Ralph worries he may lose the only friend he’s ever had. If you do one thing this long Thanksgiving weekend, I suggest taking the family out to see this movie! I laughed and cried. This is definitely Disney’s best movie this year and, in my opinion, better than its predecessor. This story is more relatable with its subject matter and themes. The sequel to Wreck it Ralph takes us six years after the first movie. With Ralph always wearing his ‘You’re my hero’ heart-shaped necklace made by Vanellope, it’s clear the duo are still best friends and hanging out all the time around the arcade games. However, both friends have different views on their lives. 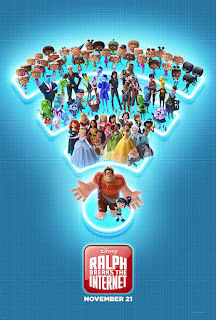 We have Ralph on one side content with where he is in life and then we have Vanellope who wants a change. 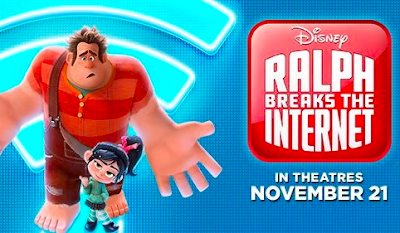 Ralph tries helping Vanellope fill in this necessity by changing her route in her game which then causes the Sugar Rush’s steering wheel to break and the game getting unplugged, but fear not-for they have recently received wifi! This will help the pair access the internet and figure out a way to replace the wheel before Litwak sells Sugar Rush for parts. The internet was brought to life in such an amazing way! I feel older viewers can connect to Ralph and his confusion with the internet while young viewers can connect with the pop culture and viral videos/memes included. There were also so many real life websites included in the movie such as Ebay, Google and Twitter. There was also OhMyDisney.com for all the Disney lovers like myself with so many disney character appearances. Of course there was the very anticipated princess scene which exceeded my expectations and more. I really enjoyed this movie; I enjoyed it more than Wreck it Ralph. I highly recommend going out to see this movie. Don’t forget to stay for the two extra scenes-mid credits and after credits!